Tomorrow I will announce my candidacy for Mayor of Seattle. I’ll be talking about my vision for Seattle then, but first I want to tell you where I come from and how I got here. I am a strong progressive leader who brings people together. And in this era of Trump and the assaults from the other Washington, we are going to need to be united, embrace our diversity and come together to protect the values that make us who we are. I am one of eight kids and my mother is a saint. I grew up in a big, Irish Catholic family. Eight kids. It was loud. Lots of laughter, some arguing and a fair bit of fighting for what’s yours. When I graduated from law school my mother said, “Finally, someone is going to pay you to argue.” I guess I’ve always had a bit of a fighting spirit. After graduating from college I moved to a remote Yupik fishing village in Alaska where I taught English and coached girls’ basketball for two years. I imitated the moves of my favorite Sonics for those girls — Lenny Wilkens, Spencer Haywood, Downtown Freddy Brown. I played on our village team and received an MVP trophy in the Iditarod basketball tournament. I also learned that Nome is very cold. 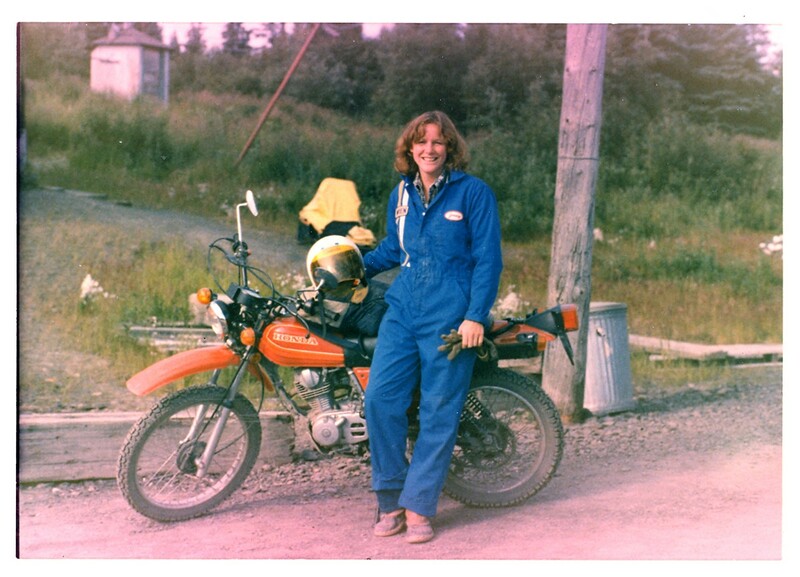 My days as a Teamster baggage handler in Alaska. I made $35 a month as a teacher and coach. It was one of the best jobs I’ve ever had but I didn’t save a dime. So the summer before I was heading to law school at the University of Washington I became a baggage handler for Wein Air Alaska in St. Mary’s, Alaska. As the only woman working the job, I went through a little hazing and was given the toughest jobs but by the end of the summer I could unload jets full of cargo, pick up outboard engines and fix the forklift engine that failed every day. 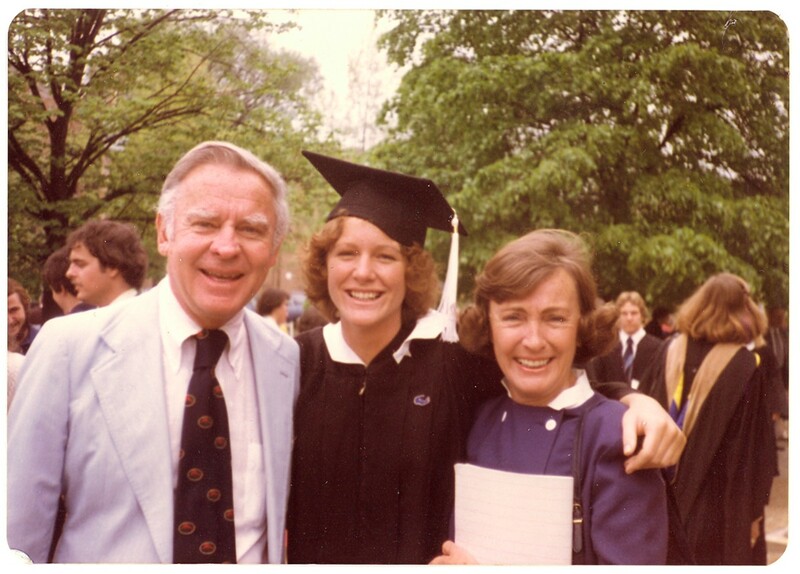 I was a dues-paying Teamster and that union job helped me pay for law school. I am one of the beers. You may be able to spot my legs. While at UW Law I got hooked on the criminal defense work we did at a clinic that allowed us to work with the public defender’s office representing clients in Seattle Municipal Court. Over the years I have been lucky to be able to help some good people and businesses through tough times. I have represented victims in the worst of circumstances — like the families of four firefighters who died in the Pang warehouse fire and a woman denied the right to see her partner in the hospital after a flash flood took her life. Learning from these and other tough cases, I fought for systemic level changes to try to ensure that others would not have to go through the same suffering. 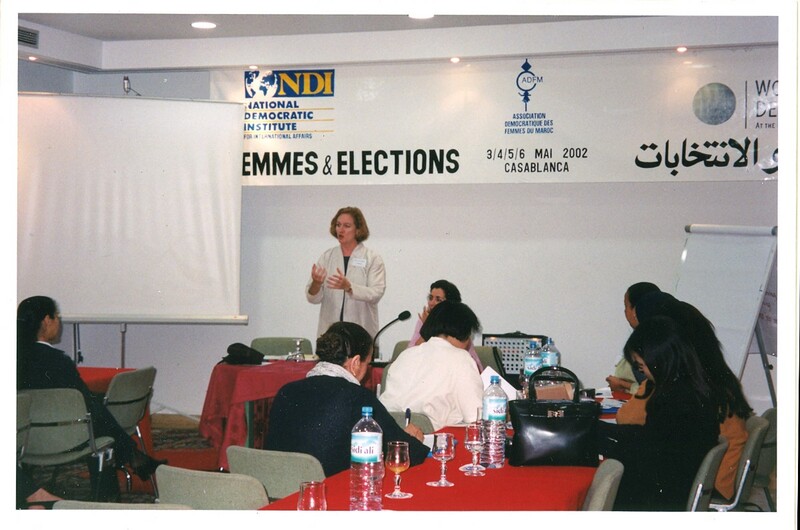 Teaching women to run for office in the Middle East post-9/11. Review Board, which marked the first time SPD allowed non-officers in the room as they reviewed officer-involved shootings. And something that is very personal to me and my family — I am proud of my decades-long effort to get to full civil rights — including marriage equality — in Washington State. We will continue that fight for our transgender brothers and sisters and until LGBTQ rights in every state are protected. In 2009, I became the first openly gay U.S. Attorney in our country’s history. That only took 211 years. In fact, I was told I was the first openly gay person ever appointed by a President to a leadership role at the Department of Justice. I took that role seriously, mentoring others and talking about how coming out was — and remains — important to demonstrating to everyone the reality of our humanity. 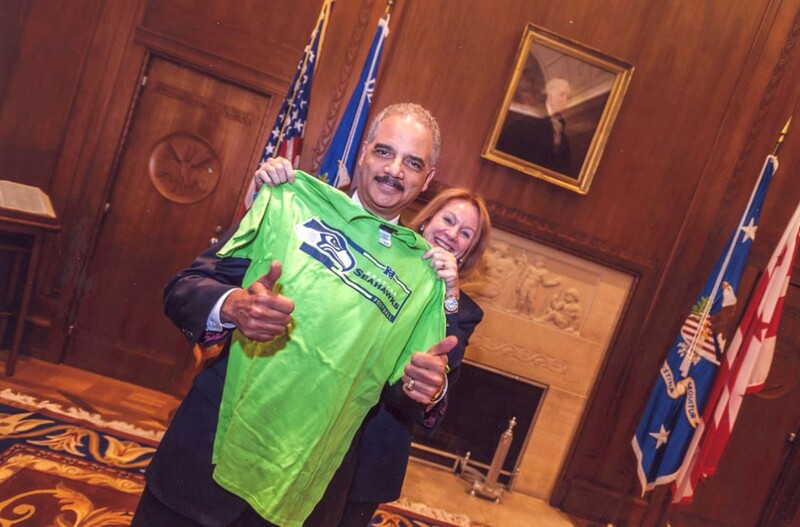 I was proud to work in President Obama’s Justice Department — the only federal agency with a moral value in its name. As U.S. Attorney, I worked with community groups — the ACLU, El Centro, One America, Mothers for Police Accountability, Northwest Immigrant Rights Project — to finally reform the Seattle Police Department. Because of our work together, SPD has new policies, training and accountability and strict oversight to ensure reforms last. We have seen meaningful changes and lower crime rates. Our police department is making progress when it comes to effectively dealing with people in crisis, de-escalating difficult situations and collecting data so we know what’s working. Finding a new 12 in the other Washington. I created a civil rights unit within the U.S. Attorney’s Office to focus on housing discrimination, job discrimination and the rights of returning veterans. And to keep our neighborhoods safe, I focused on prosecuting gun crimes and hot spot initiatives to combat drug and gun sales that were hurting our communities. I was proud to be part of Attorney General Eric Holder’s advisory committee that made criminal justice reform a priority for every U.S. Attorney’s office. At the same time, I know that we can’t just prosecute our way out of problems, which is why I championed state and federal drug courts and a mental health court in King County to provide an alternative to incarceration. When our state became one of the first in the nation to legalize marijuana — putting it on a collision course with federal law — I met with advocates, doctors, patients, parent groups and city, state and federal officials to hammer out a framework to allow our regulated approach to move forward while protecting kids, keeping it away from schools and focusing on real harms like gun violence. We cannot go back to the old approach — the way that marijuana was enforced previously, and in some states today, is one of the main reasons that an entire generation of African-American men were locked up unnecessarily — and I’m proud that we’re leading the nation in the new path forward. As a federal prosecutor, I worked to make sure a new system emerged that protected kids and drew a line around schools and as Seattle Mayor, I can promise you that Jeff Sessions won’t shut us down. I was one of the trial lawyers who fought the Republicans in court when they tried to unseat Democratic Governor Chris Gregoire in 2005. More recently, I was at SeaTac airport the day that Donald Trump’s executive order banning Muslims came down, working on the front lines to make sure people who arrived here lawfully could stay. Another shout out to the ACLU and NWIRP for being the best at what they do, and to Governor Inslee and Attorney General Bob Ferguson for going to court to stop the travel ban and fight for the Constitutional values that make America what it is. I look forward to laying out my vision tomorrow, talking with people across the city and sharing my positions on issues over the coming weeks.